Here is an excellent photo that I’ve taken of one of my new cats. I have just acquired TWO cats which is one more cat than I planned on getting. I would show you a picture of the other cat but I can’t always tell them apart so just look at this one twice. The cats main hobbies are sleeping, playing on the stairs and trying desperately to get into my bedroom where they are not allowed on account of me being allergic to cats and needing somewhere to hide from them (I didn’t mention to the FAR.S.P.C.A. that I am allergic to cats). It is their dream to get through any door that is closed. The cats have many special beds and boxes to sleep in but so far like sleeping on a chair and a window sill. We did consider booking a lighthouse keepers cottage in Schmevon recently, but I realised on a walk past there last week that it would have been a big error. Even if the fog horn had never gone off Jo would have walked round in a perpetual state of anxiety and our holiday would have been ruined. It must be nearly spring because my old car is once again growing a nettle out of its wheel arch. Hooray! 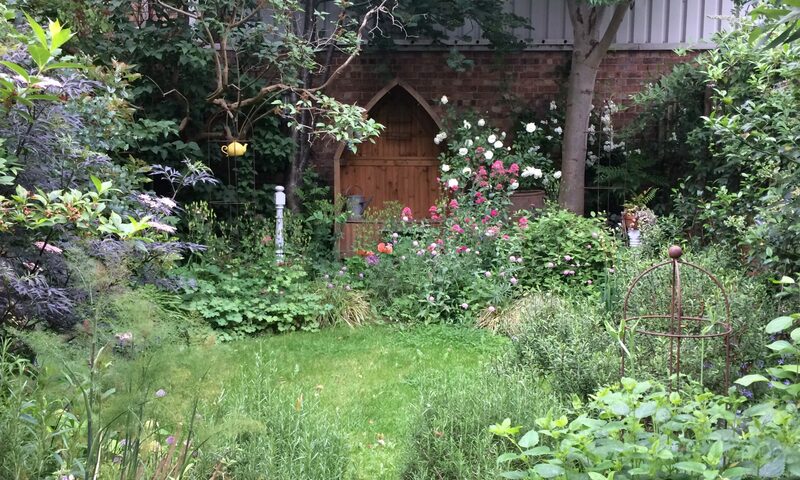 I hope that no-one accidentally ‘weeds’ it out like last time. I guess I should really recycle my car so it can be turned into a racing car or some spoons or whatever they do with old cars. As regular readers know, Joandi always enjoy our annual Guinea Pig calendars. However, we have raised concerns about them before such as the ethics of making guinea pigs wear hats/sit in mini baths and the recycling of the same pictures from one year to another. I have a new concern about my guinea pig calendar which I’m sure you’ve spotted already. 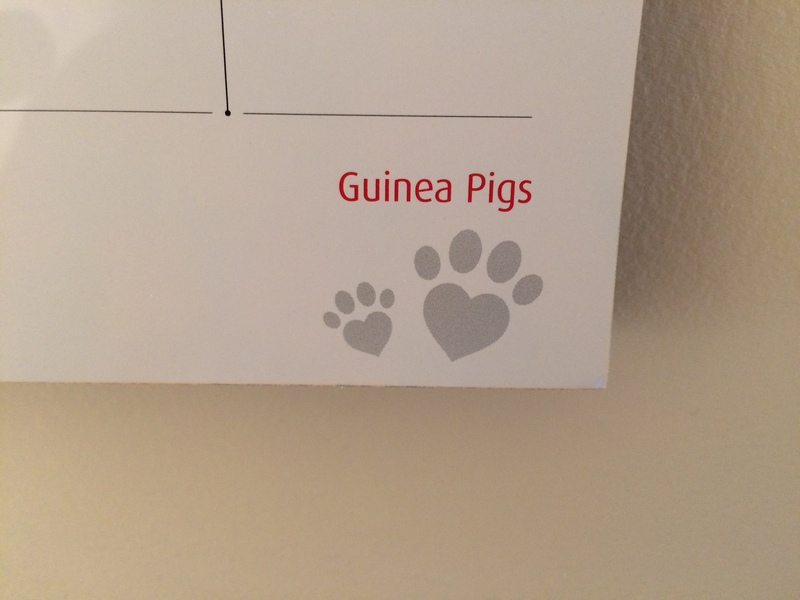 This paw-print appears on the corner of each month but this isn’t what guinea pig prints look like at all! Their feet are shaped more like human feet, with a sole and a heel. This foot-print looks like it’s been designed by someone who hasn’t ever even seen a guinea pig, never mind its foot. Can we really trust anything in a guinea pig calender? Are the dates even right?